The Administration of Criminal Justice Act (ACJA) was signed into law by former president Goodluck Jonathan in 2015 and has since its enactment revolutionized the administration of criminal justice in the country. The provisions of the Act have been largely re-enacted in the Administration of Criminal Justice Law of Delta State 2017. This write-up considers the provision of Section 300 (3) of the Administration of Criminal Justice Law of Delta State and argues its sustainability in the light of constitutional provisions on the state’s legislative competence to enact same. The Exclusive Legislative List in the Second Schedule to the 1999 Constitution contains 68 items amongst which “Evidence” is item 23. Evidence by our constitution is a matter only the National Assembly can legislate upon and the National Assembly did so when it enacted the Evidence Act 2011 Cap E14 laws of the Federation of Nigeria which according to its explanatory memoranda has application to all judicial proceedings in or before courts in Nigeria. Interestingly however, in the “re-enacting” the provisions of the ACJA, some states have attempted a subtle enactment on “other matters” including evidence. This is the precarious position of Section 300 (3) of the ACJL of Delta State. One must note that Section 1 (3) of the constitution makes the constitution supreme and stipulates that any law inconsistent with the constitution must to the extent of its inconsistency be null and void. See. Towoju v. Gov. Kwara State (2006) ALL FWLR (Pt. 321) 1365 at 1389 (CA). Therefore, whenever a State House of Assembly legislates on any matter outside its legislative competence the act is ultra vires and any law proceeding from it shall be deemed inconsistent with the constitution, null and void to the extent to which it is inconsistent. “In the course of any criminal trial, where the admissibility of any confessional statement is objected to by a defendant on the ground of involuntariness, the Court shall note the objection and the ground for the objection thereon and make a decision in its judgement at the end of the trial without conducting a trial within trial”. b. in consequence of anything said or done which was likely, in the circumstances existing at the time, to render unreliable any confession which might be made by him in such consequence, the court shall not allow the confession to be given in evidence against him except in so far as the prosecution proves to the court beyond reasonable doubt that the confession (notwithstanding that it may be true) was not obtained in a manner contrary to the provisions of this section. 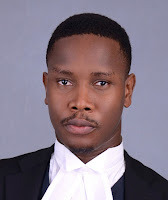 Apparently, Section 29 of the Evidence Act and Section 300(3) of the Delta State ACJL stipulate different positions on the court’s duty when a Defendant objects to a confessional statement as involuntary. There cannot be two provisions on the same issue of “evidence” which conflict each other, particularly since the later was enacted by the State House of Assembly obviously lacking vires to so enact. The provision of Section 300(3) cannot be saved by any thought of argument that is a mere “domestication” of the ACJA on the issue since same provision is not in Section 300 of the ACJA. In effect, Section 300 (3) of the ACJL of Delta State is ultra vires the legislative powers of the Delta State House of Assembly, inconsistent with the constitution and to the extent of its inconsistency is null and void. The curious position under Section 300 (3) of the ACJL of Delta State is one which can be carefully avoided in ACJLs of respective States. While the administration of crime is a concurrent matter which both federal and state legislature can legislate over, evidence is a matter exclusively within the legislative territory of the National Assembly. 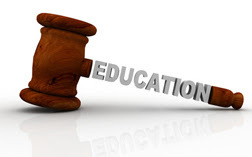 State Houses of Assembly must therefore note that they cannot attempt to amend the Evidence Act by the provisions of their respective State ACJLs. What can be done however is regulate proceedings in court which do not deal with evidence in itself but procedures in criminal proceedings. The ACJL of Lagos State is recommended as veritable guide on how to carefully carry out this difficult legislative task in other to avoid provisions which may be too quickly declared null and void.